Call it shortcake. Fine. Whatever makes you happy. But you know it looks like a biscuit. 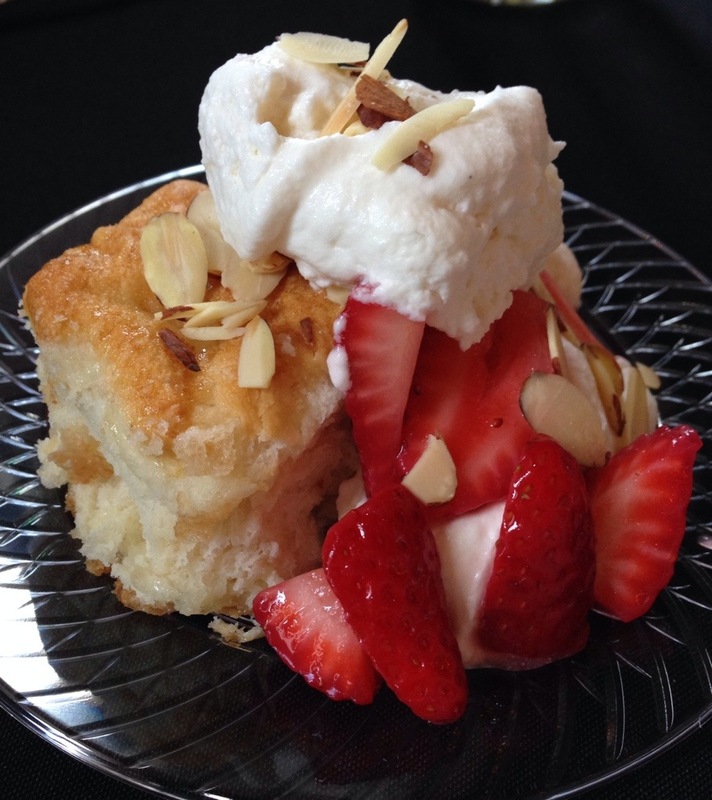 A sweet biscuit with strawberries and whipped cream and almonds. This was the scene at a wedding I recently attended. 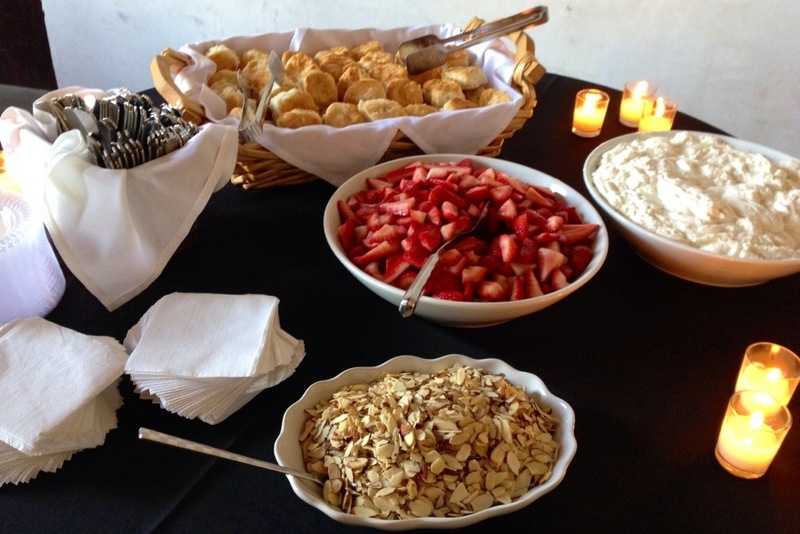 In lieu of cake, the bride and groom chose to serve this abundance of fabulous flavors and textures. Brilliant. So how was the biscuit . . . er . . . shortcake? Delicious. Tender and sweet. 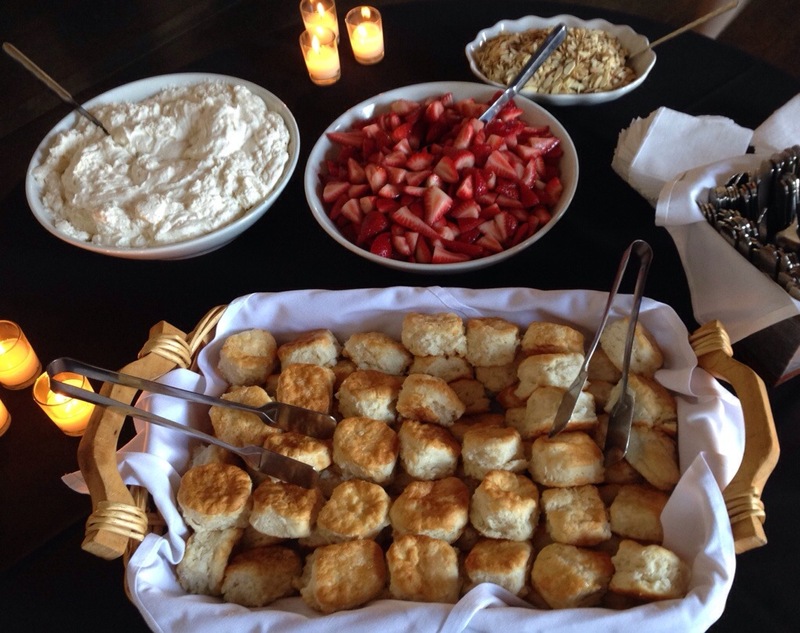 The strawberries were served in a light syrup that was absorbed by the biscuit and brought the whole dessert together. I would think of it first. Kidding! I love that this bride and groom thought beyond the traditional wedding cake and did things their own way. 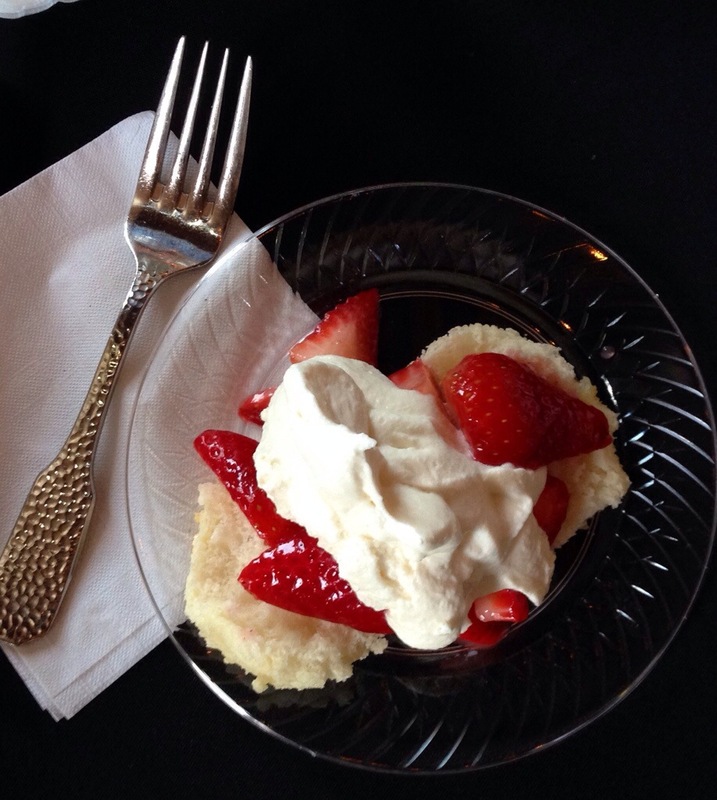 It was a beautiful celebration of two special people and the shortcake was just a bonus. 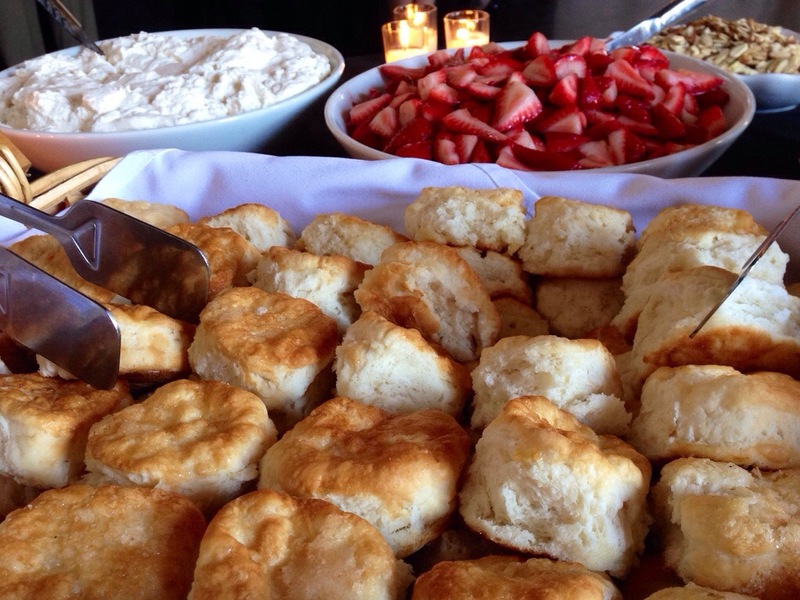 This entry was posted in Activities and tagged Biscuit, biscuits, Shortcake, Strawberry Shortcake, wedding. Bookmark the permalink. Thanks for the reblog and for reading!